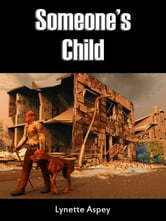 Beth is a feral teenager, one of the few survivors of a catastrophic, man-made extinction event. She does not know what happened, or why. At night, her dreams bring to life memories she has tried to forget, and every day she faces the harsh realities of gathering food and finding shelter, knowing that she is prey in a world reclaimed by hunters. Existing in a perilous no-man&apos;s land, a strip of urban ruin that exists between the City, with its sealed environment and paranoid inhabitants, and the wilderness that is reclaiming its place as the dominant force in the world, Beth expects to die. She struggles and fights, and exists without hope, knowing that her future is a short and bloody road. animal-soldiers, a hound-like chimera, Beth accepts that her time has come, only to discover that even a future as certain as hers might take the most unexpected of turns.